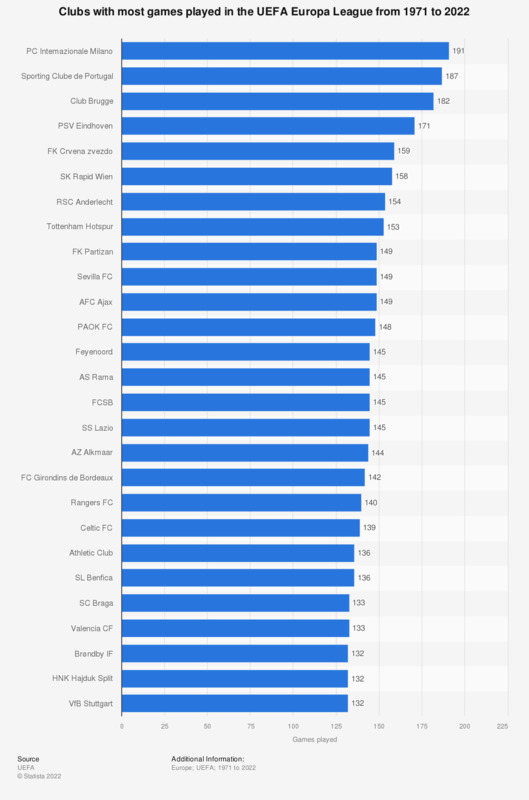 This statistic shows the soccer clubs with the most games played in the UEFA Cup / UEFA Europa League from its inaugural season in 1971 to December 2018. Inter Milan has taken part in the most matches in the competition, with 181 games played to-date. * Previously called the UEFA Cup, the competition has been known as the UEFA Europa League since the 2009–10 season. Information valid as of December 14, 2018.